This attractive approximately 2400 sq. ft. home is located on a corner, 2 acre lot in Elgin School District. 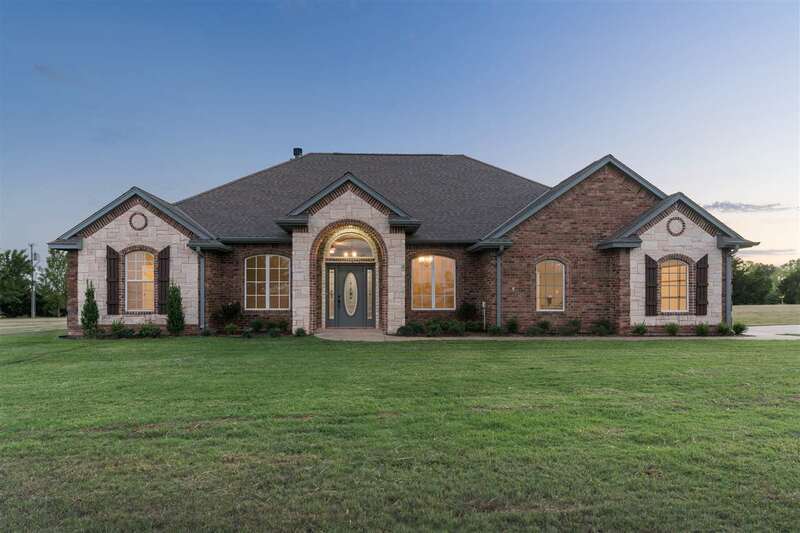 This floor plan has 4 bedrooms, 3 baths, formal dining room plus a separate office or den. Separate office/den could be converted to 5th bedroom as owner is willing to install a closet. Updates include: interior paint, lighting, carpet, stainless appliances, hot water heater, sprinkler system for the yard, and new landscaping in front. Inside the home is a tiled entryway with high ceilings. Open floor plan with eat-in kitchen that has custom built oak cabinetry, granite, large breakfast bar, plus a pantry. Living area has tiled flooring and a corner wood-burning fireplace. Guest bedrooms are oversized and offer ample closet space. 2 guest baths are a plus for a large family. Utility room has work space/storage plus a utility sink. All this plus an established yard with privacy fence and a storage building. Septic tank pumped and inspected in 2018. Home pre-inspected and repairs are being made. Located only 10 minutes from Fort Sill. Master Bedroom Size: 17&apos; X 15&apos;3"
Utility Room Size: 10&apos; X 8&apos;3"